Welcome to the University of Florida College of Dentistry. 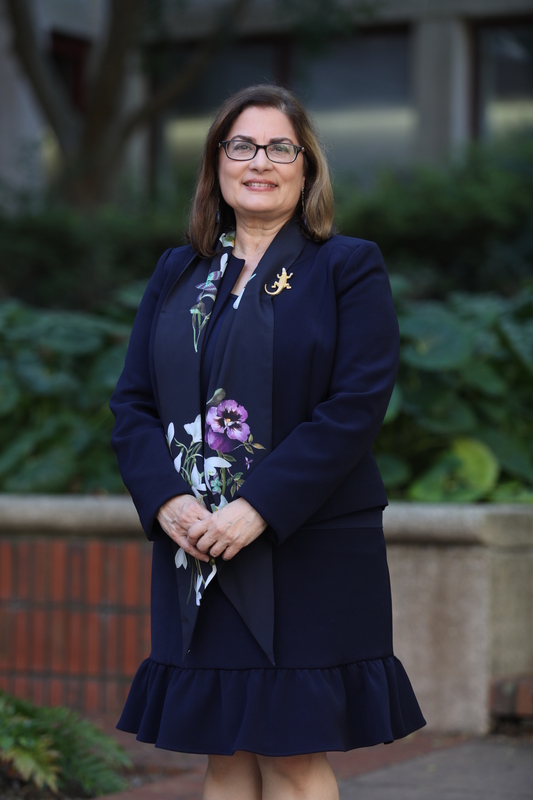 I am honored to serve as the college’s 7th permanent dean and lead our efforts to improve oral health throughout Florida and globally through excellence in education, patient care, service and research. Our college provides a full array of top-rate educational opportunities – from our predoctoral education to graduate, specialty and certificate programs including a DMD/PhD program in biomedical science with a focus on oral biology. Collectively, our students and residents benefit from the skills and experience of our highly devoted faculty, and a rich collaborative environment afforded by being one of the six colleges that comprise UF Health. Our college’s faculty are not only educators and clinicians but also leaders in developing the knowledge that guides teaching and clinical care – currently we are ranked 6th among the dental schools in the U.S. receiving grant support from the National Institutes of Health/National Institute of Dental and Craniofacial Research. Our dental centers in Gainesville, Hialeah, St. Petersburg and Naples provided 132,361 patient visits during fiscal year 2015, offering the highest quality comprehensive care to children and adults. As the only publicly-funded dental school in the state, our college has a strong tradition of service to the community; we have a multi-faceted service mission encompassing patient care and community outreach and education. Through the UF Statewide Network for Community Oral Health, we improve access to dental care for Florida’s residents, focusing on vulnerable populations and special needs patients. As we focus in developing exceptional, dentists, specialists, and researchers we are ever mindful that academic excellence must be matched by compassion, integrity and professionalism and that our future depends on producing not only future clinicians, but also leaders, academicians and researchers. With continued support from the state of Florida, and in partnership with many organizations and individuals, we look forward to advancing all aspects of our mission, continuing to build the status of Gator Dentistry nationally and internationally during the coming years. We appreciate your interest in the activities of the school and invite you to visit or contact us for additional information.